Make your next trip with baby amazing when you travel with this Best Baby Travel Gear! From your baby’s perspective, a trip is a pretty big deal. Being prepared means having a happy baby, and that means everyone gets to enjoy the trip! We loved traveling with our babies both on long road trips and airplanes, but that took a little planning to pull it all off. Be prepared to have an amazing vacation with help from these tips for the Best Baby Travel Gear! A “Must Do” for any trip is to keep your baby happy! A well-rested baby is a happy baby, so that means you’ll want to make it easy for Baby to squeeze those naps in during the day. 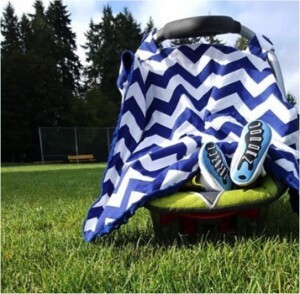 Do yourself a huge favor and get a Free Carseat Canopy before you go! You’re going to keep baby cozy and happy with this sweet deal! Another easy way to help your baby feel safe and secure is with a binky. 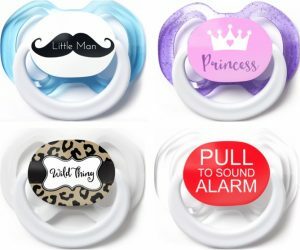 Get a deal for yourself when you score 3 Free Pacifiers for Babies! For fun, you can customize the name and design of each for no extra charge. 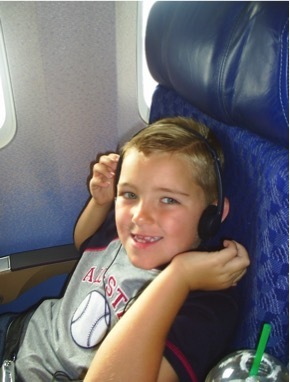 My babies loved having these on hand for long road trips and also when flying. Drinking bottles during takeoff and landing, and sucking binkies seemed to help keep there ears from getting plugged on the airplane. No room to pack a stroller? Travel close and snuggly with your sweet little one when you take along a Baby Sling. Stealing some extra snuggle time with your baby is an extra bonus, and you’ll be hands-free so you can still tote along suitcases! If you do have room for a stroller, save space by taking your Collapsible Stroller. Not only do these save loads of space in your car trunk so you can fit all that luggage, but you can also check these at the gate when you’re flying, making airport travel so much easier! I’ve done it several times, and love the ease of these! Free Nursing Cover – take baby everywhere without the hassle of worrying about feeding schedules! 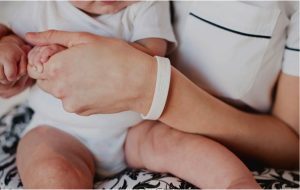 5 Free Nursing Bracelets – Never wonder again when your baby last fed or for how long! Free Nursing Pillow – This Nursing Pillow is such a great size, too… perfect for home or travel! 10 pairs of Free Nursing Pads – Ditch the disposables and save the budget with 10 pairs of cute and stylish Free Nursing Pads! When you’re on the road, having as many snacks and toys available is a must. Get yourself this Munchkin Backseat Car Organizer and make entertaining your baby while driving a snap! 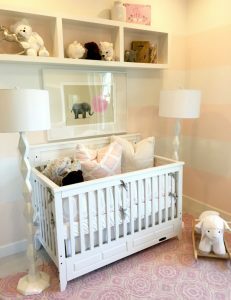 Where will Baby Sleep? Be sure to take along a fold-and-go Travel Bassinet, so baby has a cozy little bed while you’re on vacation! Your baby is going to be crawling in some pretty strange places. Whether you’ll be in an airport, different restaurants, or even hanging out as some long lost relatives home, your baby is going to want to be on the move. 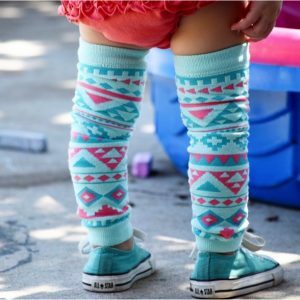 Do yourself a favor and protect those cute, chubby little legs with 5 pairs of Free Baby Leggings! 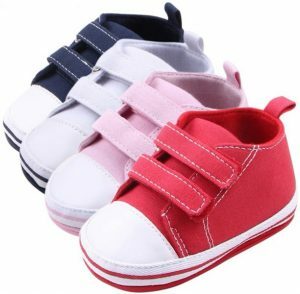 Keep those cute little feet safe and sound when you score 2 pairs of Free Baby Sandals. 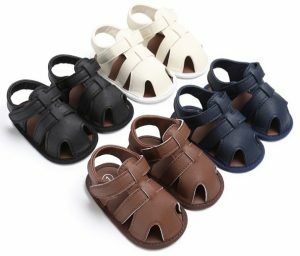 These free sandals make it easy to get baby geared up and ready for some sunshine cuteness! 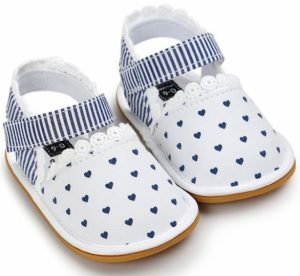 Babies can be expensive, but not when you score baby sandals for free! Or you can score 2 pairs of these Free Vintage Print Sandals for Babies! Even when you’re on the road, you can still be frugal! 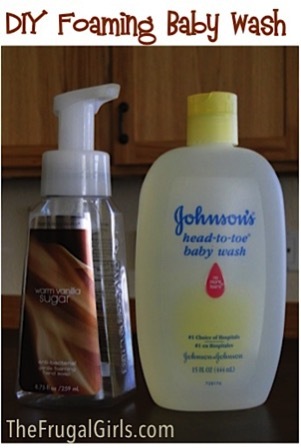 Keep babies bath time filled with bubbles and fun with this Homemade Foaming Baby Wash tip! Another easy way to keep your baby happy on your road trip is to bring along Tear-Free Shampoo. 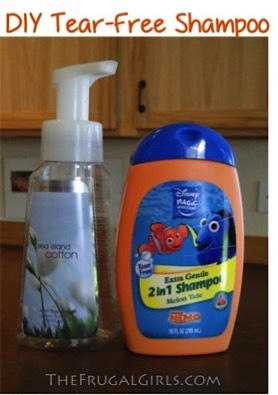 Check out this frugal tip for How to Make Foaming Shampoo that is Tear-Free! Babies are not particular about where they decide to mess their diapers. I’ve had my kids mess their diaper at the bottom of Bryce Canyon in Utah. I’ve also had to change a diaper while my baby stood on a rock next to an ice cave in the mountains near Seattle. Be prepared for these unexpected “adventures” and take a Portable Changing Pad! Long trips, whether by car or plane, have this way of making diaper rash more likely. Be prepared and take Diaper Rash Cream! Plan how many diapers you think you’ll need… then Pack Extra Diapers in case your flight is delayed or your trip goes longer than expected! The last thing you want to be forced to do is “ration” diapers if you start to run out!! One adventure you never want to experience is having a stinky diaper… and having nowhere to put it!! Do yourself a favor and pack a few larger Ziploc Bags for Stinky Diapers, especially if you’re flying! When traveling, you can never have enough Baby Wipes, but that doesn’t mean you can’t be frugal and make your own! Check out these tips for How to Make Homemade Baby Wipes! If you’re heading to the beach or the lake, get baby geared up for fun in the sun with some Baby UV Protection Clothing or a UV Skinz Swim Set! What an adorable way to keep all that sun off your babies skin! Bring along some Baby Sunscreen for all that skin that isn’t covered by the UV Skinz! Any trip to the beach or the lake means baby will need a swim diaper. 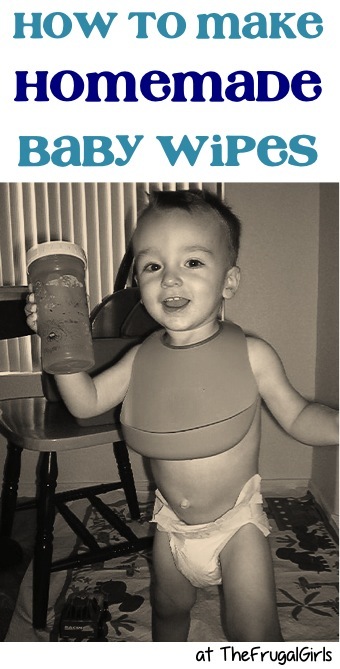 Make swim diapers less expensive with this tip for How to Save Money on Swim Diapers! Don’t leave home without snacks! 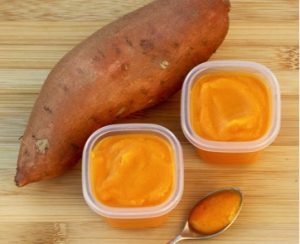 If you’re on the road, add some Homemade Baby Food to your cooler using these andy Baby Food Containers. 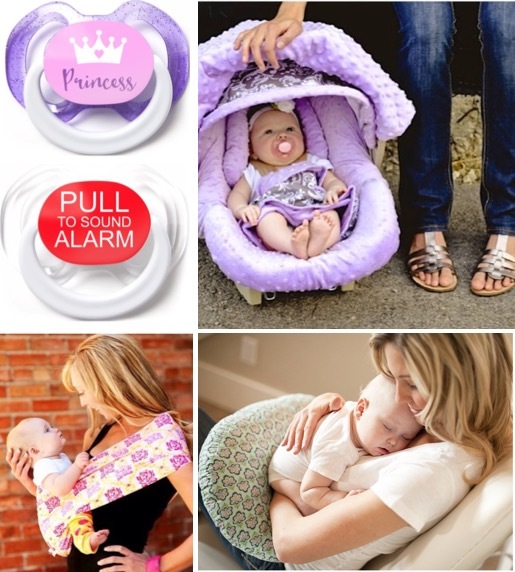 Whether you’re traveling by plane, train, or automobile, make your baby feel safe and secure with a cozy buddy! 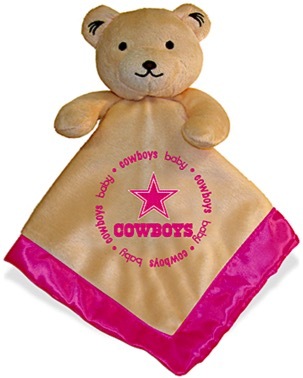 Get your baby a fun, new and free blanky bear buddy when you score a Free Blanky Bear from your favorite NFL team! Now… load up on even more helpful Baby Gear and Tips with these 45 Baby Freebies and DIY Tips for New Moms! Keep your kiddos entertained in the car, in the plane, or even on a train with these 34 Ways to Entertain Kids on a Trip! Want to score some Free Baby Stuff? How about using Swagbucks to score some Free Gift Cards for Baby Stuff you’ll need for traveling?